This gum provides the power of a crocodile... and mad one at that! 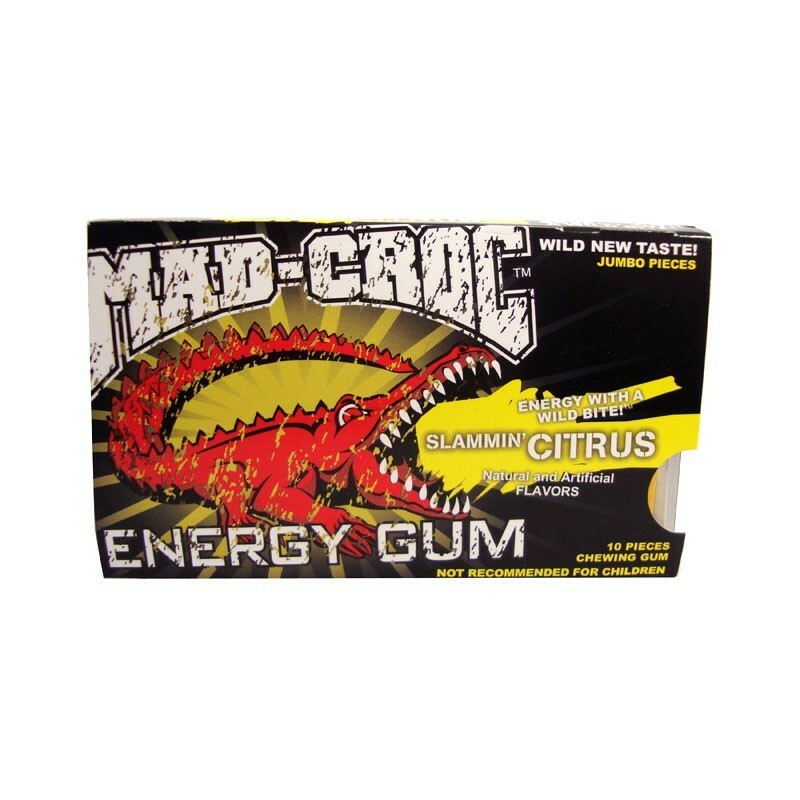 Mad Croc gum has the same energy as a full energy drink in every two pieces. If the caffeine and taurine in this gum is enough to fuel a crocodile then surely it's good enough for a mere human... and there's a flavor for every taste: Cinnamon, Spearmint, Peppermint, and Citrus. 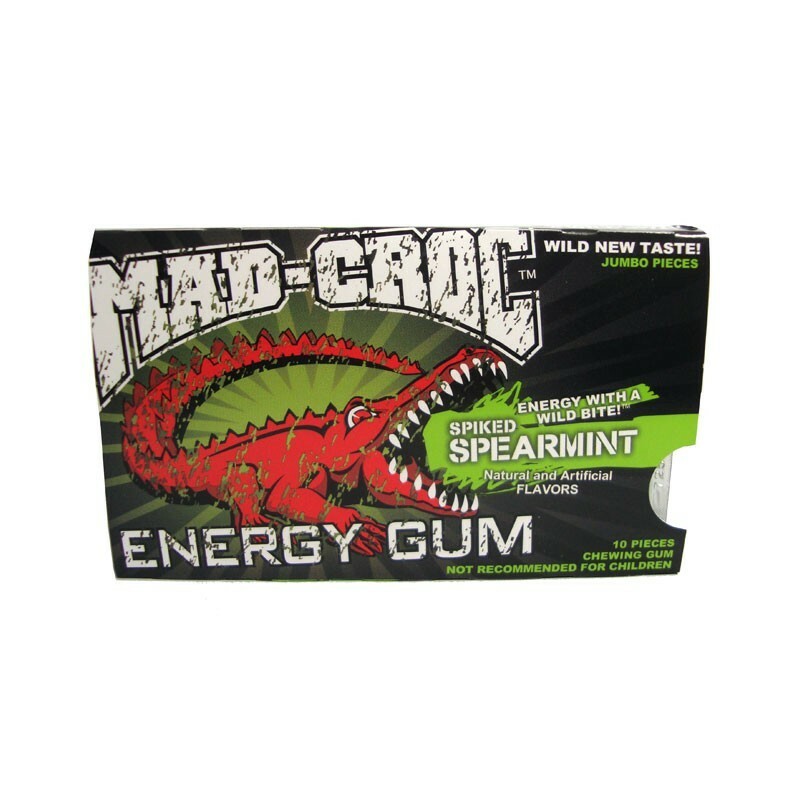 Mad Croc Energy Gum is jumbo sized to provide a long lasting flavor. Each package contains 10 pieces of jumbo gum to keep you chewing, and chewing, and chewing! SAVES my girlfriends life on a regular basis! She LOVES it! The taste drops off after a bit, but its not for chewin, its for livin!! It gives GREAT energy for Chronic Fatigue or those low on energy or over tired. Also great for driving when you want to live long enough to get to where you're going! Thanks Again for the FAST Shipping as well! It's good stuff. The taste is not great after a few mins, and the consistency becomes sorta like plastic or clay, but the energy boost is fast and lasts. Its for real. Two pieces is like a cup of coffee. 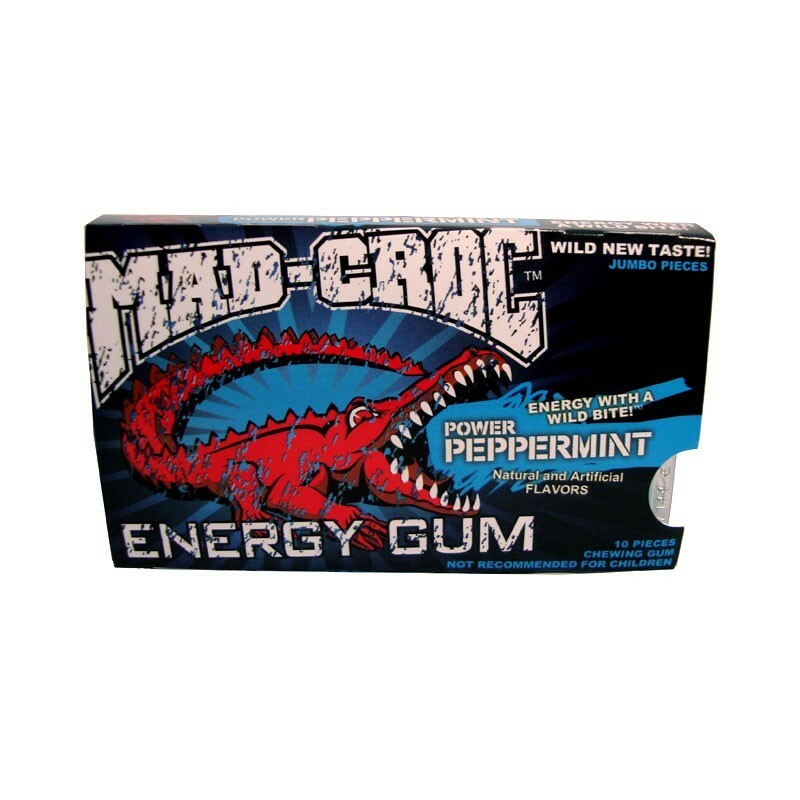 I'm a fan of peppermint and I think this is the best mad croc flavor. I also like this gum because its not sugarless so it doesn't give me a headache. Nice to keep in your purse, desk drawer or car. My son has to take a load of mood stabilizing drugs to be able to make it through school. Sometimes he becomes too sedated to stay awake. 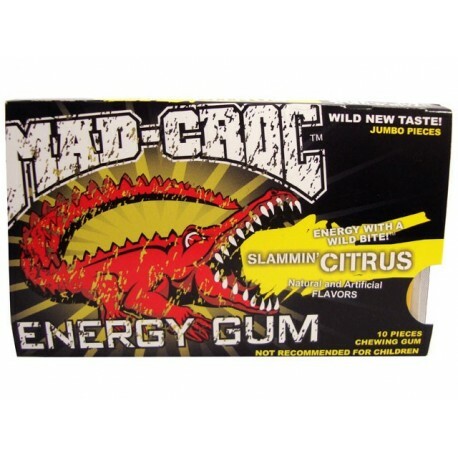 Desperately-I tried the Mad Croc energy gum in Citrus flavor for my teen and he can finally stay awake long enough to make it through the day! He did not like some of the other brands-the shell was too hard, the taste was terrible...my teen is pretty hard to please. Mad-Croc, we have a winner! We will be trying the other flavors right away!!! Wow this gum is great! I first tried the citrus and its amazing! I get a really good buzz and the gum pieces are really big not to mention the flavor lasts really long.